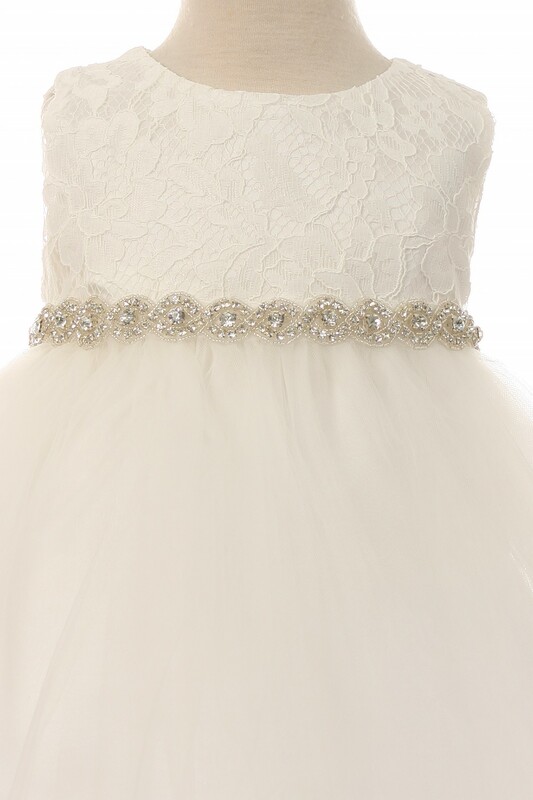 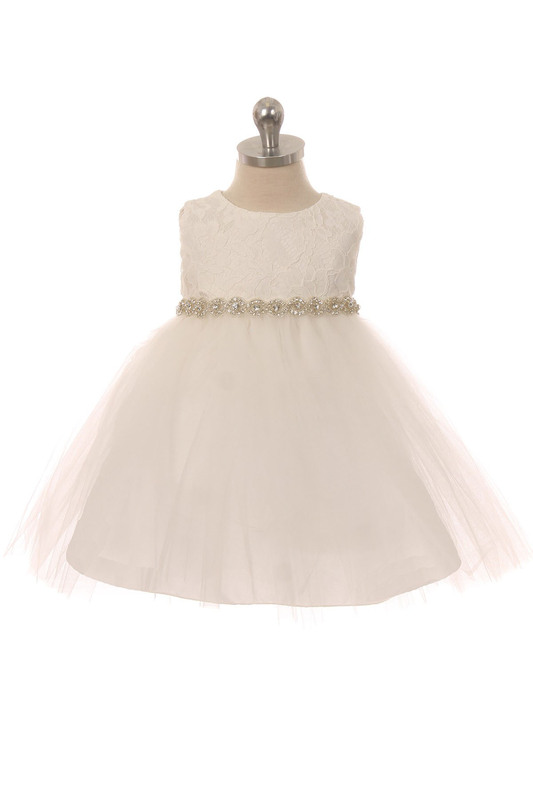 Anastasia baby girls lace top dress is sure to please any baby girl with its elaborate bling. 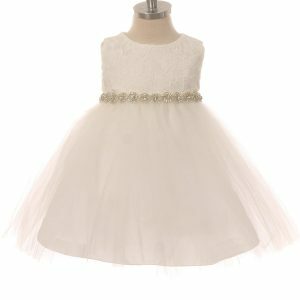 This baby girls lace and tulle princess dress is the perfect little girls dress for flower girl, Christening dress or Baptism dress or any special occasion girls party dress. 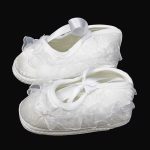 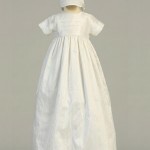 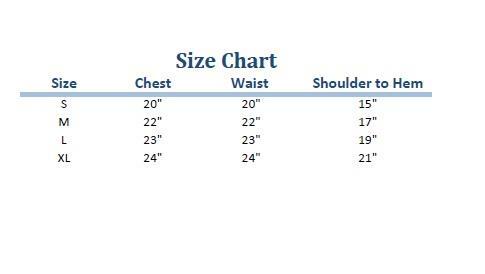 Category: Baptism Clothing, Childrens Dress Shoes, Girls Baptism Dresses & Gowns, Infant Baby Girls Dresses. 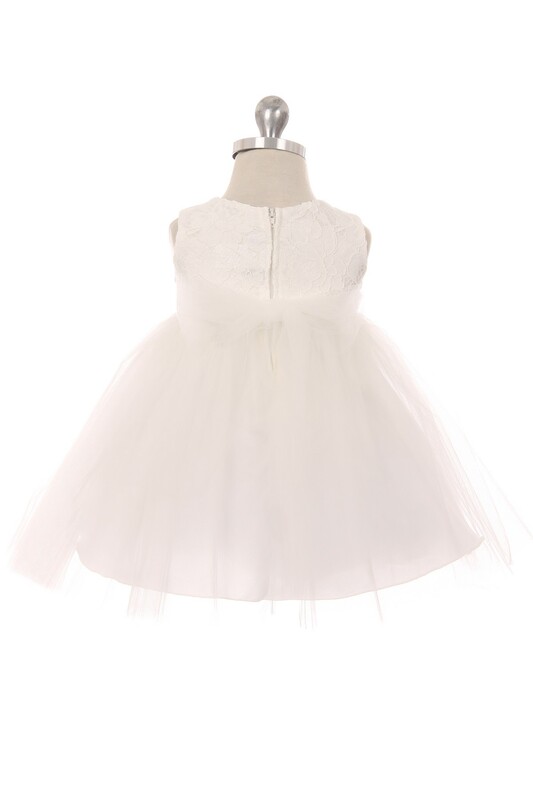 Tags: baby girls lace top dress, baby girls off white dress.